Home > Pets & Animals > Other - Pets & Animals > Lauren Failla Death? Lauren Failla, a 25-year-old New Jersey woman was killed by a crocodile while snorkeling in India’s Andaman Islands last month. Their parents found out about Lauren Failla's death a few days ago. The crocodile attack took place when Lauren Failla was snorkeling in the Andaman and Nicobar Islands off the coast of India, said Lauren’s aunt, Sally Brantley. She said the family was notified of Lauren’s death Wednesday. Lauren hailed from Morristown in New Jersey. What exactly happened to Lauren Failla? How did the crocodile kill her? Lauren Failla of Morristown was vacationing at a resort with her boyfriend when she went missing April 28. Her body was found two days later. U.S. State Department spokesman Michael Tran confirmed the death to the Daily Record of Parsippany. Tran said Indian authorities continue to investigate. ‘Lauren was full of energy and full of love. We loved her very much and miss her terribly. We are grateful for the expressions of love and sympathy,’ Daily Record quoted Brantley Tuesday as saying. Lauren’s friend Lana Denysyk said she loved to travel and decided on the spur of the moment to take a holiday in India with her boyfriend. She was underwater and the crocodile took her away with its teeth. Failla would “not have risked swimming” if there had been “proper warnings and statements that there are in fact man-eating crocodiles nearby”, cousin Gloria McLean Hiratsuka, communicating from South Korea, told Morris County’s Daily Record. 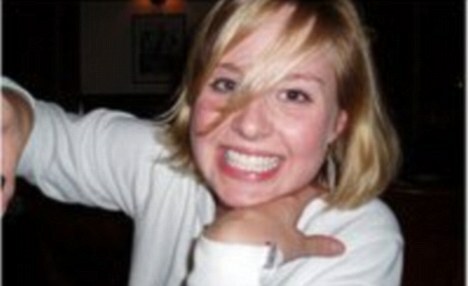 It is believed the pal caught the attack on video footage as she was pulled under the water. It is the second tragedy to hit the Failla family after Lauren's older sister, Emily, was killed in a rock-climbing fall four years ago. Michael Tran, a U.S. State Department spokesman, said roughly 24 crocodile attacks -- four of them fatal -- have been reported in the area over the last 25 years. Experts have arrived on the island to help catch the killer crocodile. Authorities reported seeing four saltwater crocodiles while searching for Failla's body, which was found two days after the attack, the Morristown (N.J.) Green reported Wednesday. the croc has been captured yesterday.. I was in the Andamans for a while working and I think the Indians killed her then set it up to look like a crocodile killed her. Blond haired blue eyed young girls should not go wandering around in India with all those morons on the loose. They are the killers, not the crocodile . Similar Threads for: Lauren Failla Death? Why Did Lauren Holly Leave NCIS? How Old is Lauren London?